Every moving adventure within the United States involves completing this form if you want your mail to follow you. Head to the USPS Website, and complete the form, and your first class mail will be forwarded to you for one year from the time you notify the Post Office of your move. New Texas residents can legally drive with a valid, unexpired driver license from another U.S. state, U.S. territory, Canadian province, or qualifying country for up to 90 days after moving to Texas. This gives you plenty of time to head to the Texas Department of Public Safety to get your license. Every individual applying for a license needs to be able to prove their identity, Social Security Number, US Citizenship or lawful presence status, and Texas residency. Full requirements can be found here. Driver's Licenses for adults are $25 and expire after six years. Moving in-state is nice as you can order a replacement Driver's License online for only $11. It's mailed to your new address. Texas Driver's Licenses are REAL ID Compliant, meaning that Texas meets the standards established by the standards in the Real ID Act. Texas Driver's Licenses are acceptable forms of identification for accessing Federal facilities, and for access to flying domestically within the United States and its territories. In Texas, your local county tax-assessor collector's office handles documentation review and issuance of Texas License Plates. You have 30 days from the time you move here to register your vehicle in the state. You can review the specific requirements, and obtain an application here. Before you head to the tax office, you must first get insurance for your vehicle, and get an inspection. In Texas, you must show you have insurance coverage for a minimum of $30,000 per injured person, up to a total of $60,000 for everyone injured in an accident, and $25,000 for property damage. Take your car to a certified Texas Department of Public Safety (DPS) inspection station and bring a copy of your insurance card with you. The inspection reviews a number of components. The complete list by class of vehicle is found here. Certain counties also require an emissions test, and your certified station will know whether or not this is required based on your address. Once your vehicle passes, they will provide you with a certificate and update a central database so that the tax collector's office will know this step has been completed. To vote in Texas, you must be registered. Simply pick up a voter registration application, fill it out, and mail it at least 30 days before the election date. You can register to vote when you obtain or renew your Texas Driver's License or get your application here. For more information about how to register, consider the Secretary of State's information page. Deregulation began with Texas Senate Bill 7, which created the Electric Utility Restructuring Legislative Oversight Committee on January 1, 2002. As a result, 85% of Texans have the ability to choose their electric service provider. We recommend using Power to Choose, which is the unbiased electric choice website of the Public Utility Commission of Texas. The website is available to all electric providers to list their offers for free. Here, you can compare offers and choose the electric plan that’s right for you. City Governments typically handle water, garbage and recycling. Property Taxes are Typically collected by the County, but you should confirm this when buying real property. Garrett's Moving and Storage are the careful moving experts for Dallas, TX; Fort Worth and beyond. We handle local moves, with and without storage, and we can help clients that are moving long-distance too. We help people moving from Dallas to Orlando, from Orlando to Los Angeles, and just about every point in between. The short video above includes some photos and overview of our storage facility in Garland, Texas, and how we use a simple crating system to keep your goods separated from other families during the storage time. The video includes our crew unloading the truck into a new construction home. The new owners will be spending their first night in their new home. The video illustrates how we use runners and padding to protect floors in the home, and also the door jambs which we want to prevent from being scuffed. We protect furniture during the moving process by shrink-wrapping it. We do this while the couches, chairs, etc are still in the home, so they're protected on the way out, during transit, in storage, and during the final delivery. We don't open the shrink wrap until the item has been delivered to the new location. We pride ourselves on being the careful movers, and we make every effort to deliver your items in the same condition we found them. However, incidents do happen, and it's important to understand the coverages related to moving. The Released Value coverage is based solely on weight. The fancy new OLED TVs don't weigh much at all anymore, but might be valued at hundreds of dollars. If something should go awry, and you have Released Value coverage, then you'd be reimbursed at $.60 per pound which wouldn't amount to much. We highly recommend that every customer obtains Full Value Protection. For local moves, we have a company we can recommend, and you're free to use a third-party as well. 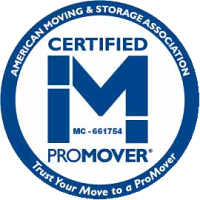 For interstate moves, we have an established provider in place for Full Value Protection, and we can discuss that in more detail during the initial moving estimate. Please consider our Moving Valuation Protection Options page for more details on this topic. We'd love to talk to your more about our company's procedures for handling careful moves. Please give us a call, and we'll provide you a free estimate for your move, and we'll talk to you about your valuation protection options. Our business phone number is 972-487-5843. 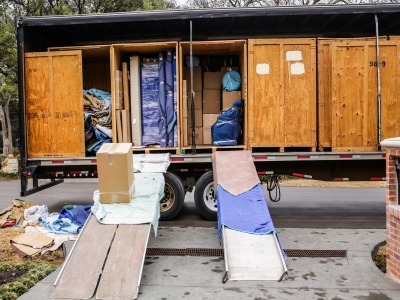 Whether you're moving from one side of town to the other, or moving from Texas to New York, it's important to consider the right amount of valuation protection for your move. At Garrett's Moving and Storage, we offer two options for you. Valuation Protection is covered by regulations that have governed every mover dating back to the 1930s. Any mover that you work with MUST offer two options, and we have solution providers for local and long-distance moves: Full Value Protection and Released Value. Locally, our Full Value Protection is a premium service and is offered through our agent, Baker International. This plan will covers the replacement cost of any items damaged or lost during the move. There are some restrictions, so it's best to review the full terms and conditions. There are two links below for your convenience, one includes a form that can be completed and faxed in, and the other is a fillable form where you can enter the data in the form, and then send it to us. At Garrett's Moving, we highly recommend taking advantage of the Full Value Protection option. This gives you the best coverage during the move, and will give you peace of mind that you're covered. The alternative option is Released Value, and is offered by Garrett's Moving at no additional charge. Under this option, we assume liability for no more than 60 cents per pound per article. 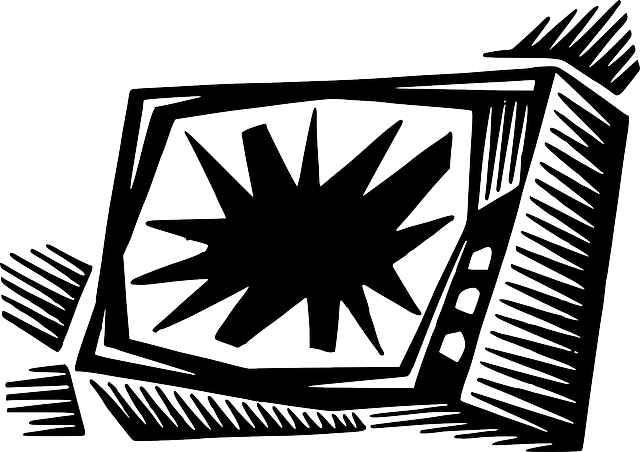 For example, if a 10-pound stereo component was lost or damaged valued at $1,000, you would only receive $6.00 in compensation (60 cents x 10 pounds). As you can see, the Full Value Protection option would be far superior in this instance. You may also choose to get a policy from your own agent, and we're happy to work with them, too. Limited Liability - The standard coverage for your belongings is set at 60 cents per pound. In the event of damage, the claims settlement is simply based on the weight of the item. Please note, boxes you pack yourself will carry different liability coverage than boxes packed by your carrier. At Garrett's, we can provide all the details to ensure you fully understand your coverage options and guide you to the best decision. These concepts are explained in much greater detail in two brochures. One produced by the Texas Department of Motor Vehicles which discusses in-state moves, and the other, produced by the US Department of Transportation. Once your belongings are delivered long distance customers have 9 (nine) months to file a claim and local moves have 90 (ninety) days. Once a claim is received, we send an acknowledgement which outlines that closure will happen within a 90-day window following the date of receipt. Then, based on the coverage and scope of damage, we will either send an inspector/repair specialist or close the claim based on weight of qualified damages. Qualified damages are those we are able to accept responsibility for. Packed By Owner (PBO) damages are not qualified damages unless there is damage to the carton or other obvious signs of mishandling. Garrett's Moving and Storage offers full service long distance moving services anywhere in the United States. 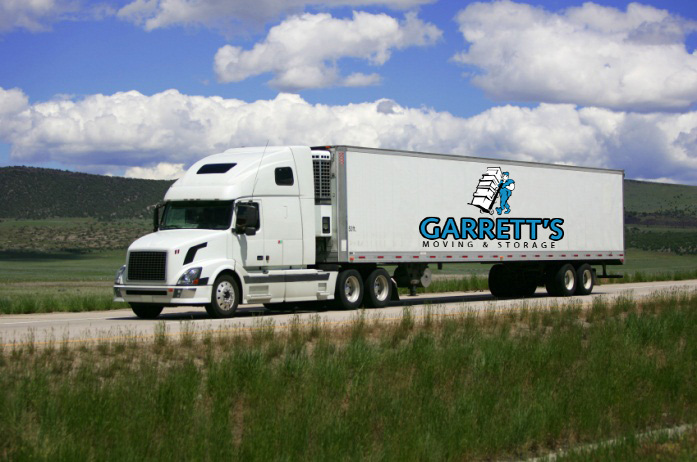 Whether you are moving across town, across the country, or anywhere in between, Garrett’s Moving and Storage are your long distance movers. Our large nationwide network of movers will ensure your long distance move will be efficient and cost effective. Whether you are facing Interstate Moving from Texas to San Francisco to Boston or back to Dallas, no distance is too far. Call Garrett’s now 972-487-5843. We know life doesn’t stop just because you are in the middle of a move. That’s why Garrett’s Moving and Storage goes the extra step to be as flexible as possible when it comes to any situation you may run into during your move. One of our former customers, Shirley O., shared this story detailing her experience moving cross-country with Garrett’s. When something is absolutely excellent, tell the world. Garrett’s Moving and Storage was one of the most outstanding services I have ever encountered. During my recent move from Alabama to The State of Washington, I had a family emergency the day before my shipment was to be delivered. Garrett and his staff worked very hard to arrange temporary storage in Washington for my items because they were worried about me as a customer. His sincerity and concern was not to charge me shipping twice. There is no other moving company that would have taken the opportunity to care about their customers the way this company does.